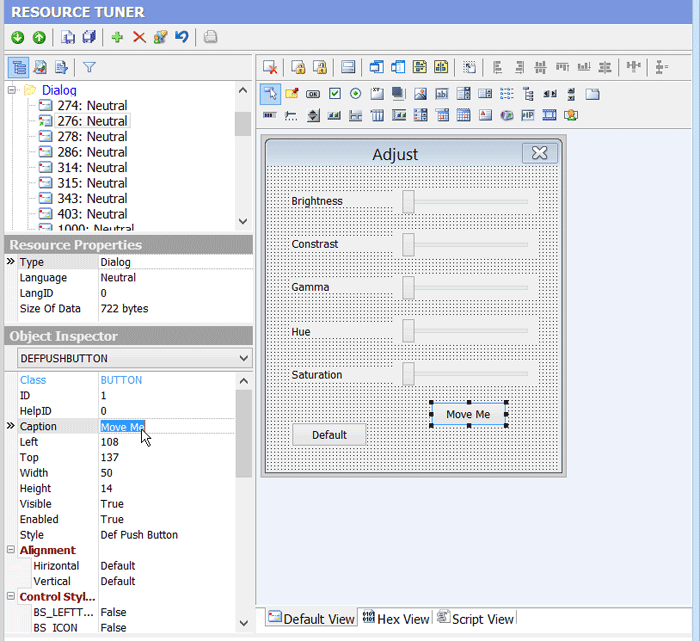 Resource Tuner lets you visually modify a selected dialog and its controls. You can resize, redesign, and reposition dialogs or simply change their font properties (type face and size) to suit your wishes. Size and position changes to dialog boxes and child controls are automatically reflected in the resource script. 1. Expand the Dialog folder that’s found in the Resource Tree view, and select the dialog resource item to be changed. 2. You will see a preview of what the dialog box looks like. To see the script behind the dialog box that makes it work, select the Script View tab. Anything that you see on a dialog box can be moved or resized. Select a control by clicking it in the displayed dialog. Alternatively, the Tab or Shift-Tab keys can be used to select next or prior controls respectively. The selected control will show resizing handles. You can numerically adjust a control position and size in the Object Inspector or drag it with a mouse. To add a new control, select one of the toolbar buttons with the most commonly used controls and click on the dialog. The top-left corner of the control to be added will default to the point at which the dialog was clicked. 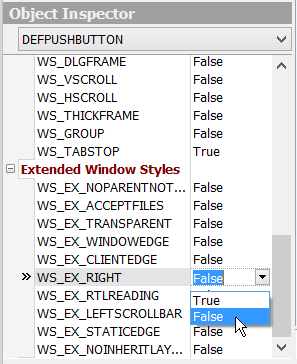 You can set/reset the extended style parameters for a dialog box and its control items (e.g. "right-to-left" reading order for Hebrew/Arabic script as well as "right-aligned text"). 3. A dialog box can be modified primarily by editing the item lable - e.g. the caption, as well as changing the size or position of a control. 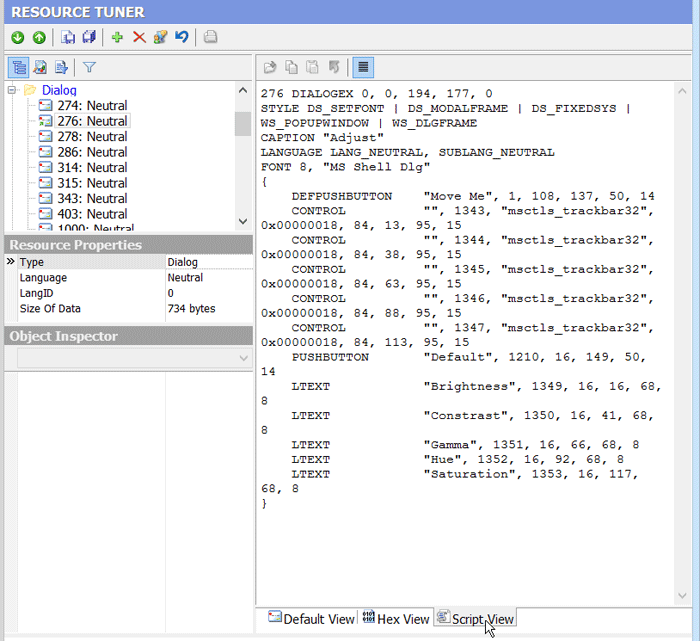 This can be accomplished using the mouse as well as entering the new properties directly into the corresponding edit fields in the Object Inspector. As you rearrange and resize objects, the resource script related to the objects changes accordingly. 4. Select 'File' -> 'Save File' to save the altered file to disk. Any change you make can be restored prior to quitting the editor. Dialog IDs cannot be edited. These values are hard coded into the target file. Changing them is likely to cause the modified program to crash.